Up. Turn right. Down. Brake. Turn right. Repeat… 850 times. No, I didn’t slip – that zero is meant to be there. Below is an account of the most ridiculous ride I have ever done. (And I typically set the bar pretty high for crazy and outlandish things). This is the account of the first Everesting in the Northern Territory – Atkins Drive, well-known as “High School Hill”. My latest Everesting, showing complete lack of self-control and preservation, came about through peer pressure. As a pretty handy climber in Melbourne, and gaining some attention through some pretty outlandish rides, a relocation to the Northern Territory lent to whispers behind my left ear. “When’s he going to do it”. “It” being the first Everesting in the NT. The vanity in me thrived, and I was eager to knock it over ASAP, and I wanted to do it in Darwin. But I quickly discovered that Darwin is as flat as Beach Road, and the humidity over the wet season is only tolerable by consuming a higher volume of beer than what one would lose in sweat (per hour)… fine for my usual rides, but maybe not for a big one. The dry season barely arrived as promised, and was looking to run out soon. I ride with some excellent cyclists in Darwin, most of whom I see real potential of completing an Everesting (even if they doubt themselves), and the table talk circled around Litchfield. There are very likely climbs in this national Park – good, consistent gradients that could result in a sub 300km ride. But I’ve been keen on local from day 1. Litchfield is quite remote; no coffee, no pizza, no reception. As beautiful as it is, it would require a large logistical effort to attempt. Darwin, on the other hand, is a small city where a cyclist can get anywhere in no time at all – prime for a support team. The downside – I’m yet to find a climb that gains more than 20 odd metres. 20m! There are driveways in Melbourne that rise more than that. In Adelaide, if you want to go for a ride, you’ll find yourself gaining more metres meeting your bunch ride around the corner. Repeats it is. I’d had my sights set on another climb from day dot, but decided on HSH after doing some repeats and preferring the higher grade and more accurate barometric readings (something that, in the end, would eventuate to nothing). Sure, it would be more repeats with such a small rise, but it is fairly quiet, smooth and very well known amongst both cyclists and runners in Darwin, being a training ground for the Triathlete biased city. In numbers, it has an average gradient of about 8% and rises about 12m in approximately 150m. I initially thought it only 10.5m in gain, hence the 850 laps – I’ve really gotta stop overshooting my mark! Into the nit and the grit. A 2am alarm, breakfast (is it really breakfast at 2am? ), kitted up and I rolled out the door to meet Matt at the shop for coffee. What a start – 2 quick double shot piccolos woke me up and got me excited. I was stoked to have Matt out for early laps, and without delay, we were at the base of HSH to start climbing. Those early laps were great. Devoid of traffic with a chill in the air, conditions were perfect to bang out lap after lap. Somehow it didn’t get boring, and consistency meant efficiency and a lot of vert covered fairly quickly. 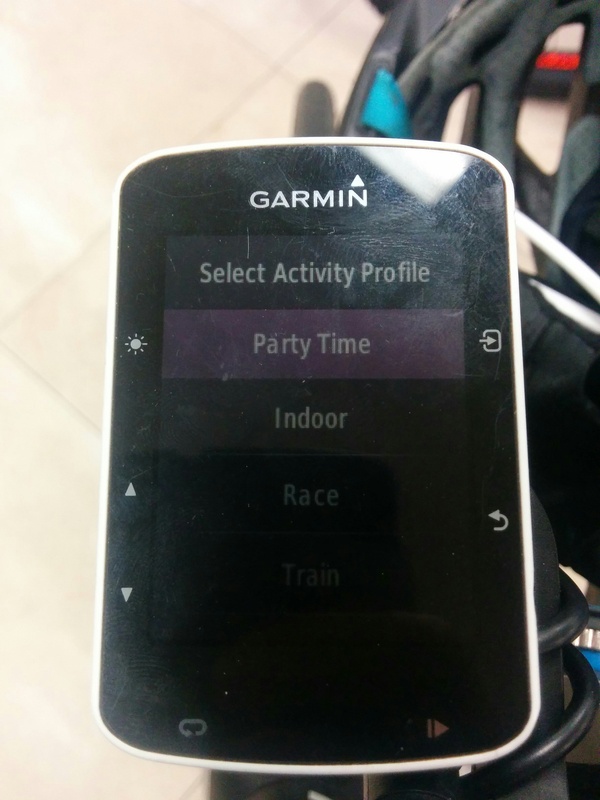 Unfortunately for me, the barometer in my Garmin had basically died completely, and would typically record about 1m per lap…. Darwin is flat, but not that flat. So I had to rely on hitting my lap counter at the top of every ascent. So yet another thing to repeat. Up, hit button, turn right, down, brake, turn right, repeat. Ergh!